In this blog post let me discuss some of the key differences between Audio-Technica M40x and Audio-Technica M50X. With the headphones market being saturated, the quest for the best headphones is quite a difficult job. So people tend to go behind the big brands, like Audio-Technica. This headphones brand has proven again and again to be of high quality. 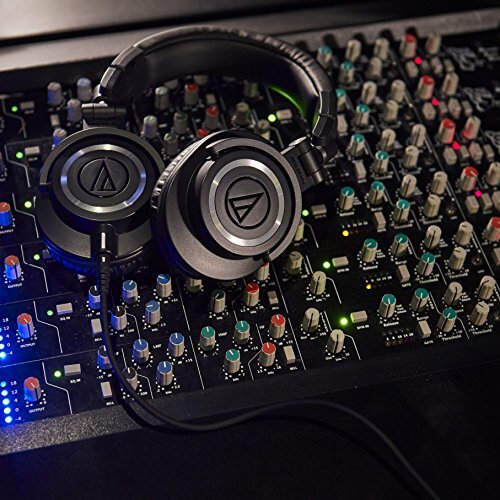 In the Audio-Technica, middle range headphones segment, the Audio-Technica M40X, and M50x are the most popular ones. Both these headphones come at the price of under $150, making it the headphones that are both affordable and of high quality for an audiophile. 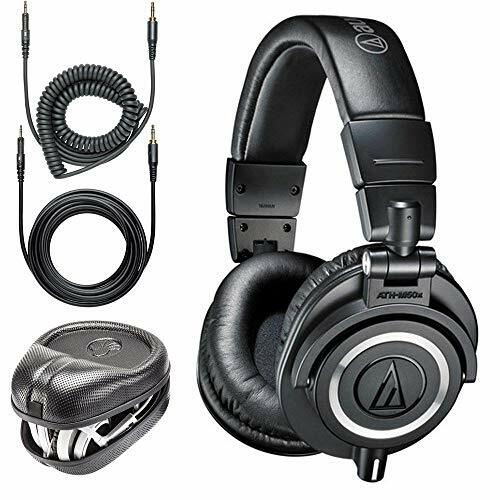 The Audio-Technica M50x are great headphones and are wildly popular among the audiophiles. But the main question is how do they compare themselves with ATH M50x. This is the exact thing I'm going to review in this post. Audio-Technica M40X and Audio-Technica M50x come with a quarter inch adapter, a 3-meter cable, and a coiled cable. However, the M50x comes with an extra 1.5-meter straight cable. Unlike the older M series headphones, the cables are now removable in both of them adding to the overall build quality and longevity of these headphones. However, you do also need to note that you are allowed to use only the Audio-Technica cables. Sadly, you cannot use any other cables. These headphones also come with a leather bag that is great for portability. The headphones can easily be folded and stored inside the bag. Also, these two devices are mostly similar. However, the M50x is little larger and heavier. The M40x feels lighter on the end. However, you’ll notice this only if you have both of these headphones in hand. The build quality wise, both of these headphones are great. The M50x build quality is slightly better as the earcups feel premium. Design wise these two are very similar. As these are monitoring closed-back headphones, the audio sounds more natural. The relatively flat frequency response these headphones have got to offer is ideal for studio monitoring purposes. The M50x headphones have a slightly larger driver at 45mm. Whereas, the M40x has a smaller driver at 40mm. ​The bass is controlled in both of them so that they won’t leak to the mids. The bass is not heavy so that it is ideal for monitoring purposes. There’s a slight emphasis on the bass part of the M50x, whereas M40x is for you if you love flat sound. So, I can say that the bass is slightly more prominent in M50x than M40x. If you are an audiophile, you can easily notice the slightly richer sound and more natural sound in M50x. However, both of these headphones have a great sound quality. The difference in sound quality between these two headphones is not so noticeable. As these headphones are neutral sounding, the even the subtle details of the audio will be heard (especially in M50x) that you fail to hear from the mass-market headphones that have extreme folding to their frequency response. Both of these headphones deliver rich sound quality. As I told you, the M50x has a little edge over the M40x. A non-audiophile can’t really tell the difference. Is the extra clarity worth the extra 50 bucks? You’re the one to decide. Both of these headphones offer a great comfort. The headphones can be folded and can be stored compactly in the leather bag provided. But the thing you need to note is that these headphones are not super-portable. Most of the people who buy any of these will mostly use it indoors. Another difference is in terms of ear cups swiveling. The M40x offers 90 degrees and the M50x offers 180 degrees of ear cup swiveling. This will not be a deal breaker for M40x. Earpads and headband in both of these headphones have a soft leather finish. But the M40x have slightly softer pads, making it a little bit more comfortable however you do need to note that the earpads on M50x do get softer over time. The earpads in both of these are of high quality and enable you to wear these on for hours. The earpads are replaceable and available easily on the internet even by third party manufacturers as these are quite popular headphones. The headphones are a little bit tight to wear for the large head, but it will be comfortable after some hours of wearing it. 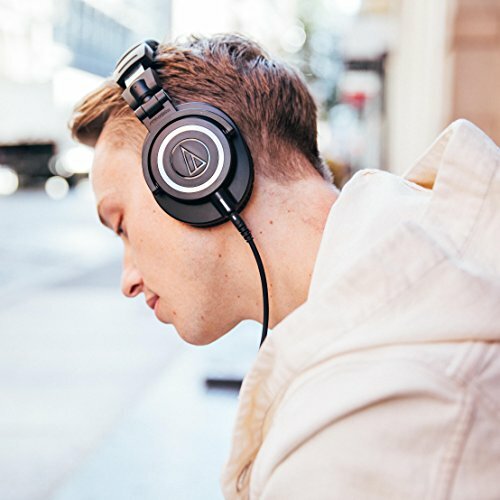 Also read: Audio-Technica M50x Black Friday Deal 2019 – Save BIG! As I told you earlier the M50x is slightly heavier due to the larger drivers. It weighs at 285 grams when compared to M40x weighing at 240 grams. However, M50x does not feel heavy. But M40x certainly feel a little bit lighter. 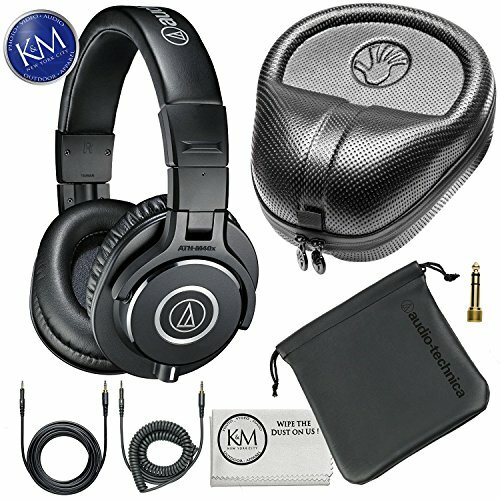 After the detailed comparison between Audio-Technica M40x and Audio-Technica M50x. Audio-Technica M50x has slightly better build quality than M40x. It also has slight emphasis on bass/lows than M40x. The sound clarity is also certainly an upgrade. In case of Audio-Technica M40x, the headphones are bit lighter than M50x. The sound signature is flat with no emphasis on the bass. The clarity is also great but M50x certainly has edge when it comes to sound clarity.